A&C Specialists owned by Mark Carmody is based in Carrigaline, Co Cork. Our team has over 25 years experience in the security industry. We are a progressive and forward thinking company. We are continuously researching and investing in the newest technology to ensure that you get the best solution and service possible. We are a customer focused, dynamic and growing business with a passion to deliver the highest standards in our work and systems to our ever increasing loyal customer base. 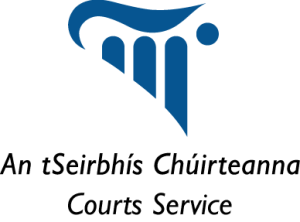 We are licensed by Private Security Authority, which is a statutory body with responsibility for the licensing and regulating the private security industry in Ireland. We are NSAI certified, which gives our customers the assurance that what they are purchasing, be it a product or service, comes from a company operating to the best international standards. 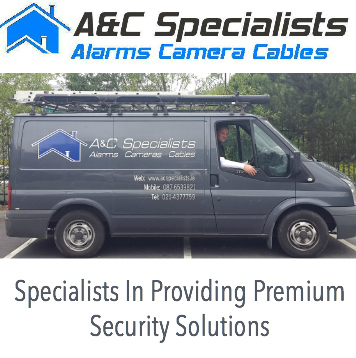 If you’re looking for Domestic Alarms in Cork, Commercial Alarms, Monitoring or Customised Security Solutions, make sure you avail of our Free Site Survey, so we can design a cost effective, professional solution to meet your needs and budget.